The People of Chandupatla village in Nalgonda district on Tuesday Rani Rudrama Devi Remembered on 729th Death Anniversary at an ancient inscription of Kakatiyas found here. The inscription was decorated with flowers on the occasion by Vivekananda Yuvajana Mandali, which worked for its restoration. 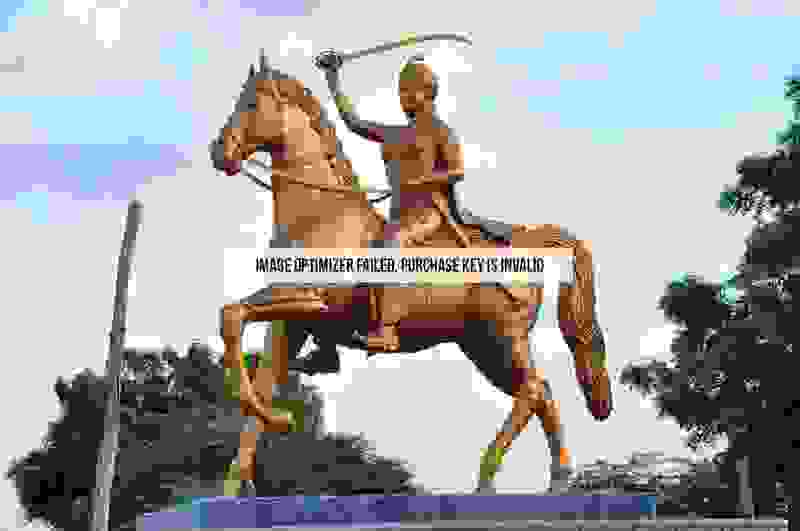 A huge number of villagers who gathered on the occasion remembered the greatness and heroics of the Kakatiya ruler. Blankets were distributed to 50 poor people apart from exam pads for Class X students. Due to an initiative by a research scholar, Tanduturi Saidulu, from the village, the inscription on the death of Rani Rudrama Devi was found in Chandupatla in 1994. It is based on this inscription that the world came to know about the death date of Rani Rudrama Devi as November 27 in 1289 AD. Earlier, there were no proofs available to validate Rudrama Devi death. It is said that a soldier, Puvvula Mummidi, from Chandupatla, who served as a soldier in the army of the Kakatiyas, set up the inscription in the village and donated some land to Somanatheshwara Temple, which today is in a dilapidated condition. According to the inscription, Rani Rudrama Devi and the Chief of her Army, Mallikarjuna Nayakdu, died on November 27 in 1289 AD. Chief Minister K Chandrashekhar Rao, who visited the village to launch Mission Kakatiya at Pedda Cheruvu on April 26, 2015, promised to develop the place as a tourist destination.